Figure 3. Upper Backhoe Auxiliary Hydraulic Hoses. Figure 2. Backhoe Auxiliary Control Switches. Figure 4. Pilot Controls Controller. Table 1. 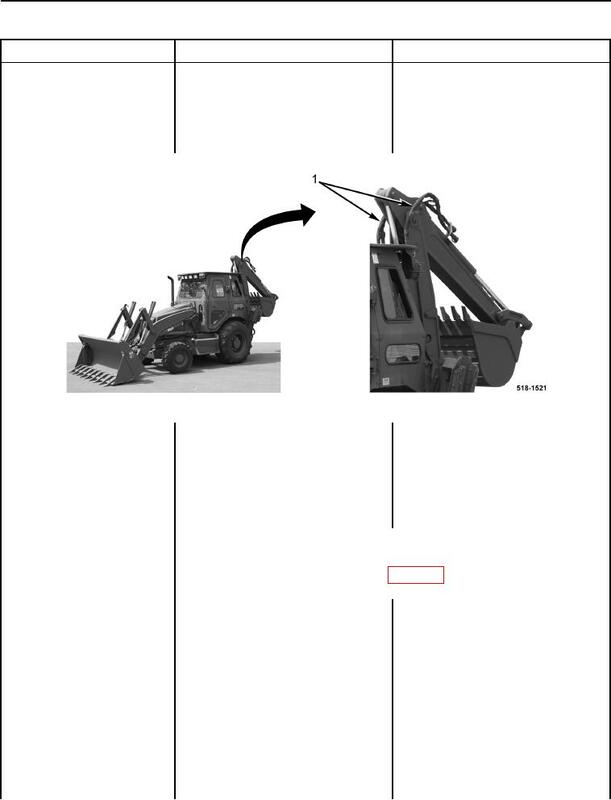 Backhoe Auxiliary Hydraulic Control Does Not Operate Correctly - Continued. Proceed to Test Step 6. Proceed to Test Step 2.